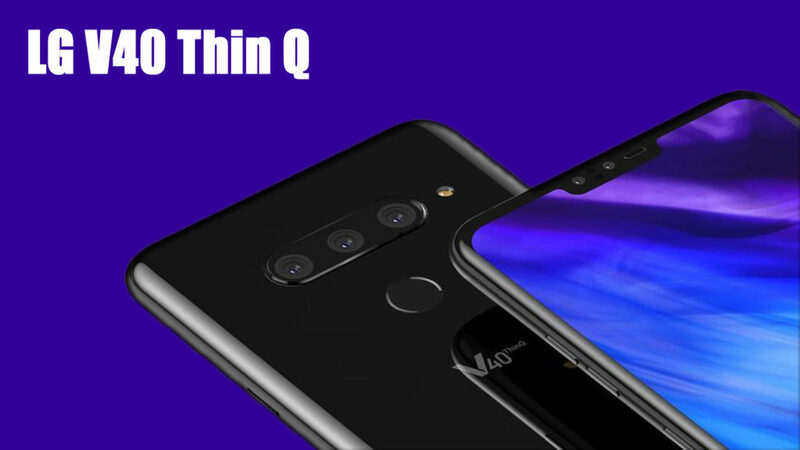 LG has scheduled an event on October 3rd 2018 its next new flagship V40 ThinQ smartphone, few months after the introduction of the V35 ThinQ in the US on (AT&T/Sprint/T-Mobile/Verizon) and The main highlight of the LG V40 first smartphone show on leaks images that will be triple rear cameras with Telephoto lens, wide-angle lens, 2x zoom and AI features like OnePlus 6T upcoming phone. It is also said to feature dual front cameras and run Android 9.0 (Pie) out of the box. 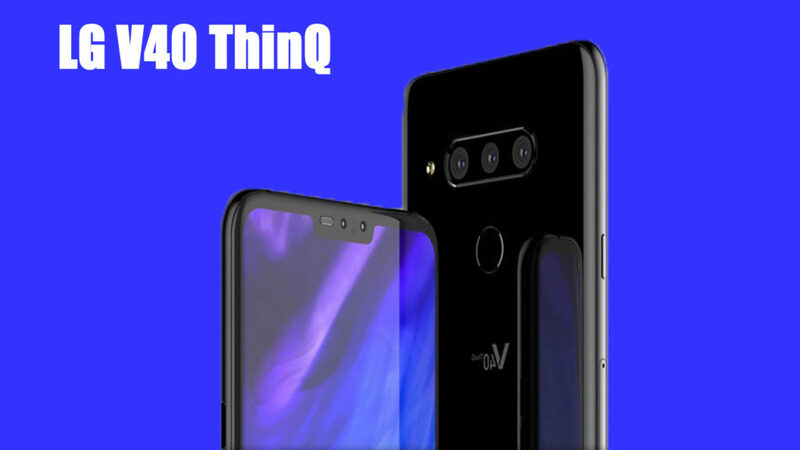 There’s nothing else to take from the image, but previous leaks and rumors suggest that the LG V40 ThinQ will also have three rear cameras that could be 12MP camera with f/1.5 aperture, 1.4µm pixel size, 16MP camera with f/1.9 aperture, 1.0µm pixel size, 12MP camera with f/2.4 aperture, 1.0µm pixel size, Dual LED flash, and a dual front-facing 8MP camera, secondary 5MP camera, fingerprint scanner show on the back and a powered by Snapdragon 845 chipset comes with 6GB RAM same as LG latest flagship phones of 2018. 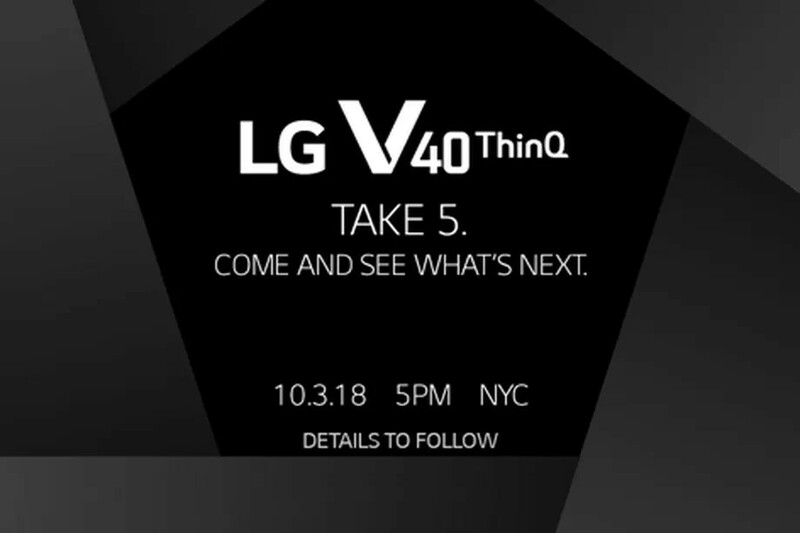 The LG event starts at 5PM on October 3rd (2:30 AM IST on October 4th) in NYC New York and on October 4th 2018 at 10AM in Korea. Expected price $935 We should know the fulll specifications and price when it goes official next month.